If fishing is your past time, you've found the right place! With over ten years of fishing experience we'll get you that monster pike, that beautiful lake trout or that scrappy arctic grayling. 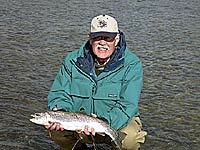 Whether you are a fly fisherman or spin caster we have what you are looking for. We currently feature three fishing packages, but we also offer custom tailored fishing trips. Just let us know what you are looking for. E-mail for more info. Situated in the Watson River Valley eight kilometres north of Carcross and 70 kilometres from Whitehorse on the South Klondike Highway, Yukon Territory. Spirit Lake Wilderness Resort is the perfect base for fishing adventures. Our experienced guide will take you to all the best fishing spots in the area. 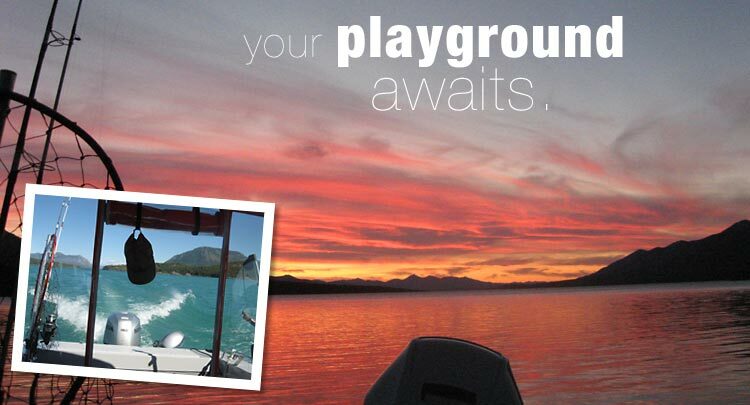 With options such as: Tagish Lake, Little Atlin Lake and many more. Here youll find towering mountains, rushing rivers, First Nations culture, colourful lakes and a chance to encounter some of the abundant wildlife that call the Southern Lakes home. Just a sample of what youll experience.